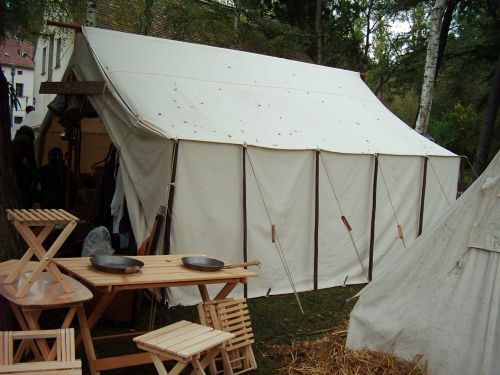 The Wall tent is also a military tent that came into operation in various periods. It’s also called frame tent and was predominantly used by generals and officers during wartime as accommodation or military hospital. The tent has side walls at different heights, depends on the type, which ensure the ideal headroom and provide storage space. 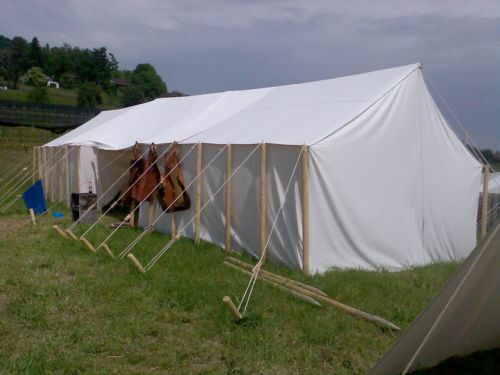 As a standard product we offer three different sizes with one tent opening. On request you can also get it with two openings (q.v. Roman tent). The advantage of a two-opening tent is the superb ventilation on hot days.